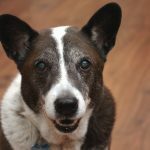 Due to the relationship dogs have had with humans for centuries, they are fondly regarded as “man’s best friend.” Dogs often serve and protect their owners, making them an important member of the family. They are great companions to children and help secure our homes and properties. They can be used by law enforcement for sniffing out bombs or drugs, and in farms for herding livestock. Dogs are descendants of wolves and the share similar traits like courage, intelligence, kindness and loyalty. These characteristics have made the dogs an integral part of our society, while the wolves are disliked by people. 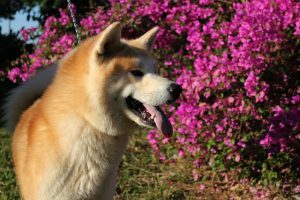 Breeding has led to the development of dog breeds that have the physical appearance of wolves but exhibit the behavior of a regular dog. 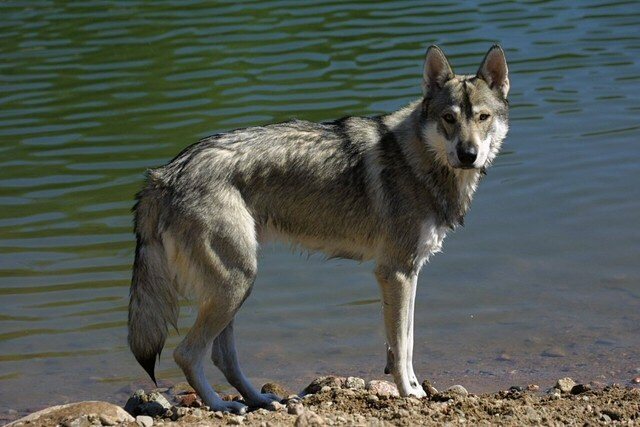 There are wolf hybrids and other dogs bred with a very low wolf mix. Then there is the husky that has no wolf content but shares a similar coat type. 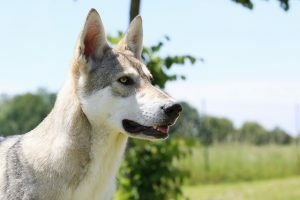 The German shepherd, Alaskan Malamute and other husky wolf mix have a similar appearance. 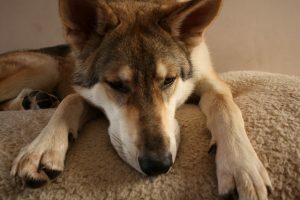 Although these wolf hybrids which are a mixture of dogs and wolves have similar markings on their coats, their behaviors are widely different. Dogs easily interact with humans while wolves tend to avoid human contact. 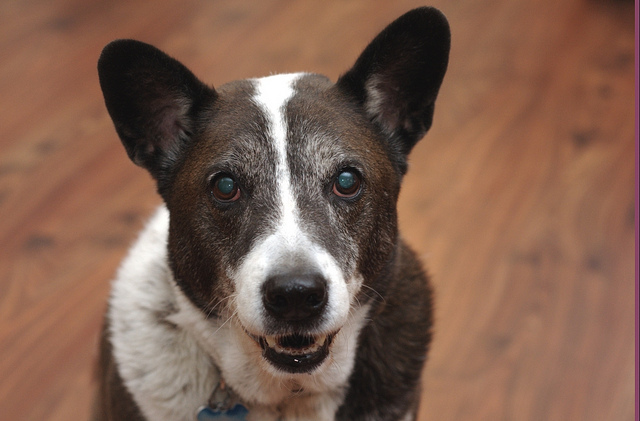 Dogs seem to prefer being around humans more than other dogs. Wolves live in packs to protect each other and their food. They may even attack humans if they perceive a threat, but a dog will rarely attack its owner Unlike wolves, dogs bark quite readily for reasons like alerting its owner on the presence of danger or protecting its territory from intrusion by other animals. 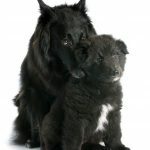 It is essential to know the temperament of these dogs if you intend to bring one into your household. The ancestors of these animals including the Siberian Husky lived in packs, a knowledge of their strengths and weaknesses is vital to having a healthy relationship with these dogs. Some of these behavioral trends are as follows. Social Ranking and Dominance: Just like wolves, dogs understand authority and may try to lead. The pack leader determines everything that happens within a particular family or unit. Every male member of a pack vies for a chance to be the pack’s “alpha.” To enjoy ownership of these Siberian Huskies or wolf hybrids, you need to take the alpha position. This will enable you to control your dog and earn its respect. Socialization: Pack animals easily get bored when they are left alone for long periods. They soon feel lonely and start to draw attention by chewing on things around the house like clothes and shoes. They may also get scared and tend to run away. 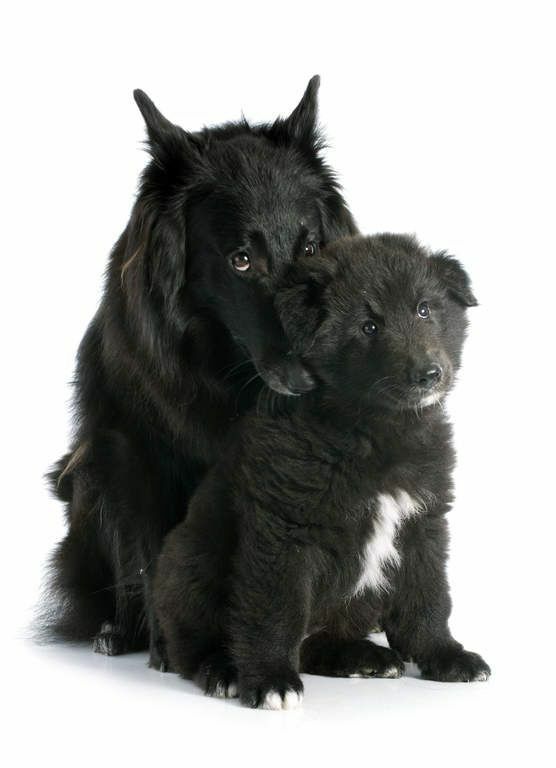 Dogs should be made to feel safe and adequate training will help boost their confidence. They tend to communicate through barking which may become unpleasant as they tend to bark a lot. Aggression: Pack animals are usually defensive and are devoted to guarding their territory. This is a very important trait of dogs that look like huskies. They attack any person or animal that is perceived as a threat. Guarding of food may also be observed, hence food training for the animal is encouraged. 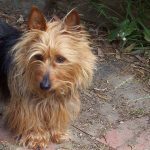 Dog owners should be observant in order to reduce the tendency of getting bitten by the dog. This is a Carpathian wolf and German Shepherd mix which was developed in the 1950s. They were previously used as guard dogs but may now be seen in various households. They have a muscular build, brave and fearless, and can withstand adverse weather conditions. Although they are loyal dogs that can be trained, they are temperamental and may attack when provoked. 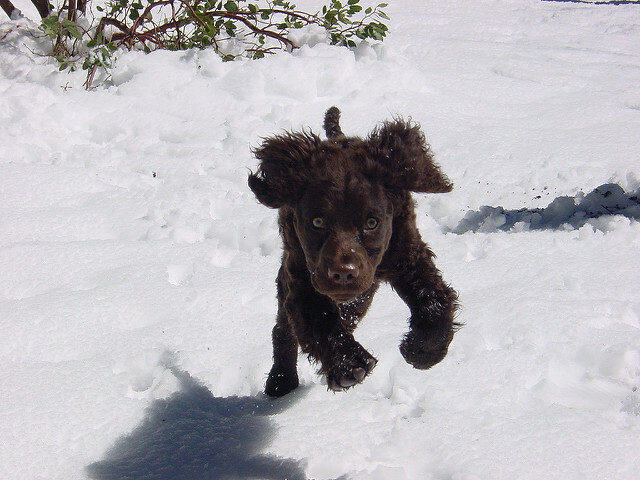 Due to their agility and high endurance, they can be used as tracking dogs. They reach maturity at 2-3 years and could live up to 14 years. Czechoslovakian Wolfdog are medium-sized dogs with a thick grey coat. They are very curious and may be difficult to train. So, they require solid leadership and steady exercise. They shed readily and will require grooming to keep their fur healthy. The Canadian Eskimo dog has been bred by the Inuit people centuries ago for hunting and pulling sleds. They are very strong dogs with high stamina. Due to their pack instincts, they may not be friends with other dog breeds. They tend to see other animals as prey and should be kept away from them. They are very energetic, aggressive and tend to fight very often with other dogs. If well trained, they can be very friendly pets. They reach maturity at 2-3 years and could live up to 15 years. They have a thick coat and may shed twice a year. Regular grooming is required to keep their coat smooth and clean. The dog requires exercise to keep it healthy. The American Eskimo Dog is a small white dog that looks like a Husky. It is a companion dog of the Spitz family. 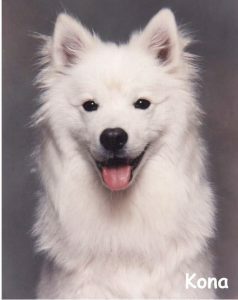 Their ancestors are the white German Spitz that came to America with their German families in the early 1900s. They are very intelligent dogs that fare well with steady activity. They are energetic and could easily get bored due to inactivity. This may lead to unpleasant behaviors like chewing on valuables and excessive barking. American Eskimo reach maturity at 2-3 years and could live up to 15 years. They have a double coat and require brushing to keep their fur in perfect condition as they shed readily. This is a German Shepherd and wolf mix that was bred by Dutch breeder Saarloos Leendert in the early 1900s. They are very energetic and independent. Hence, they require training at a very young age to ensure dominance. They are very agile and may need supervision around kids and other animals. They protect their territory with devotion, only barking when necessary. German Shepherd reach maturity at 2-3 years and could live up to 12 years. They have a thick coat that needs regular grooming as they shed quite often. This dog was bred by the Samoyede people of northwestern Siberia for hunting, herding reindeer and pulling sleds. They are good tracking dogs and very alert watchdogs. They are devoted to protecting their territory against intruders but can be very friendly when kept as a pet. This dog breed enjoys playing with people. Leaving it idle results in destructive behaviors. They reach maturity at 2-3 years and could live up to 13 years. 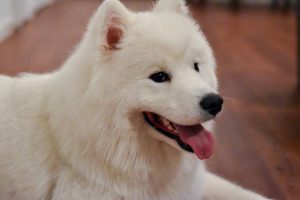 They are sensitive to hot weather due to their thick white coat. Samoyed shed heavily and require constant grooming. It is one of the primal dog breeds known to man. They were used for pulling sleds, hunting seals and chasing away predators. They are very playful and are friendly to human pack members. They bark and howl to communicate. They are energetic, intelligent and independent. They love to dig but correct training will make them very obedient. They reach maturity at 2-3 years and could live up to 12 years. Malamute enjoy long walks and are generally playful. They have a thick coat and come in different colours. They shed and require grooming. 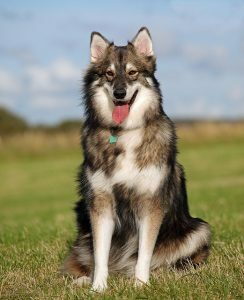 The Alaskan Klee Kai which translates to “small dog” in Inuit was developed by Linda Spurlin in the early 1970s. They are very friendly pets and are not used as guard dogs due to their small size. They are very intelligent and energetic. 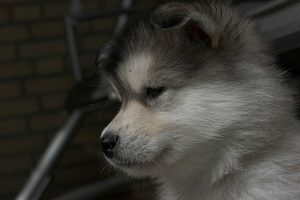 They are easy to train compared to other husky breeds and bark only when necessary. They have sharp hunting instincts and fare well with other dogs. They are double coated and come in a variety of colours. Alaskan Klee Kai shed twice a year and require grooming to reduce tangling and mat. It is a large well-built guard dog developed in Japan in the early 1600s. They were used for hunting wild game because they are brave and fearless. They are very aggressive making them good watchdogs. Proper training is crucial to getting the best out of your dog. They are social pets that are faithful and loyal to their owners. They have a double coat and come in different colours. Grooming is necessary to keep their fur in a healthy condition. 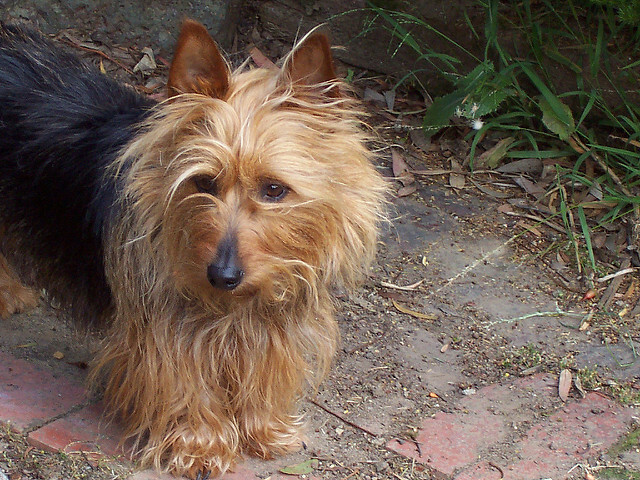 This dog was developed by Edwina Harrison in the 1980s. 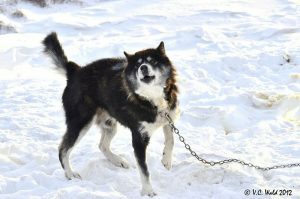 She crossed five rescue dogs including the Siberian Husky and German Shepherd to create the Utonagan. Although it looks like a wolf, this dog is loving and gentle. It is a wonderful companion to children. They are very energetic and often require exercise. They are double coated with a soft outer coat and a dense undercoat. They shed frequently and regular brushing is necessary to prevent tangling and matting. This dog is of Finnish origin. It comes from a mix of German Shepherd, Siberian Husky and other dog breeds. They are friendly, loyal and good with kids. They are easy to train but should not be left inside an apartment without supervision. They have thick grey coats and shed seasonally. Regular grooming is required to keep their fur clean and smooth. 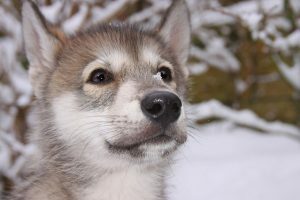 It is the Finland national dog bred for hunting wild game. They are brave and fearless watchdogs that show aggression when provoked. They often bark to alert the owner of intruders. They are energetic and usually participate in sporting activities. 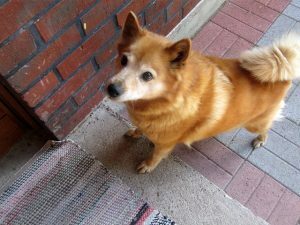 The Finnish Spitz is lively, intelligent and good with kids. They have a double coat that comes in different shades of golden-red. They shed seasonally and require grooming. They were used by ancient Vikings in Iceland for herding sheep. They chase away predators especially birds of prey that come to carry away the lambs. It is a very friendly dog that is easy to train. It is very intelligent and barks to alert its owner of the presence of an intruder. 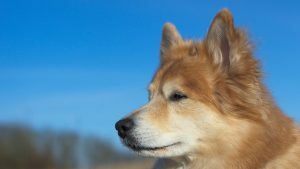 Icelandic Sheepdog have a thick coat with a wavy appearance and come in different colours. They shed and require brushing to reduce tangling and matting. 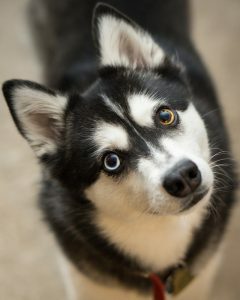 Anyone looking to adopt a dog breed that looks like a Husky should perform proper research on their individual behavior. 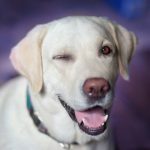 This will aid in the selection of a dog that suits your personal needs.